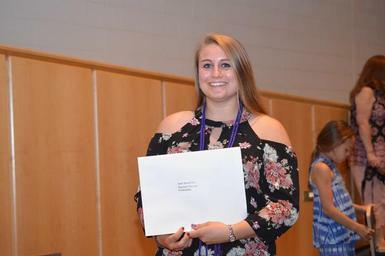 Nearly 400 students from the 23 component school districts of Onondaga-Cortland-Madison BOCES have earned the distinction of receiving a New York State Career and Technical Education (CTE) Endorsement on their 2017 high school diploma. Earning a CTE Endorsement is considered a distinction of honor. Having achieved the designation demonstrates a student’s academic strength and signifies their readiness to enter the workforce or enroll in college. Students must take and pass both written and performance exams, which can be norm-based, requiring students to achieve higher scores than are typically accepted for passage. Performance exams are observed and scored by field experts not affiliated with the educational institution. Students who pass the test demonstrate competence in their specific trade area and their readiness to meet the high standards of employment, or entrance into a secondary education program, in their field of study. To achieve the endorsement, students must also meet a number of additional standards including: passing their CTE course, completing approved work-based learning experiences, passing national assessments, completing 22 graduation credits, achieving passing grades on five Regents exams (or approved alternatives) and meeting all high school graduation requirements. The following is a complete listing, by school district, of the 381 students who earned CTE endorsements this year. Their OCM BOCES program of study is listed in parentheses along with other honors received.